..Wee Memories..: Challenge #48 - Sponsored by Lawn Fawn! 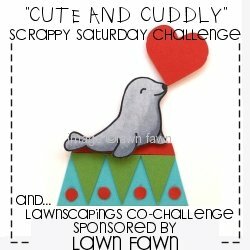 Challenge #48 - Sponsored by Lawn Fawn! 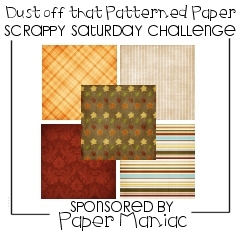 Hi all and welcome to another "SCRAPPY SATURDAY" Challenge!! This weeks challenge is a HOOT! We are teaming up this week with LAWNSCAPINGS! Lawnscapings Challenge Blog is a new challenge by our own DT member Laurel Beard. 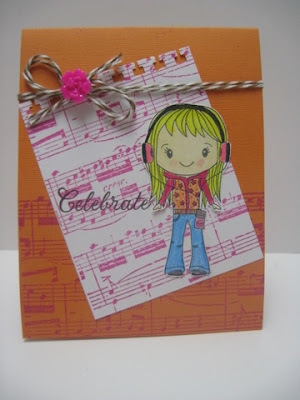 She created this new challenge for anyone who loves to create with their Lawn Fawn stamps! 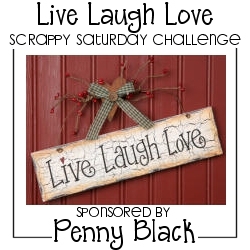 Be sure to check it out, its a fun challenge and Laurel is a HOOT! And even a bigger HOO-RAY ... we have Kelly Marie, owner of Lawn Fawn, and Kathy from The Daily Marker joining us for this challenge!! Hoo-Ray!! Another cool thing about the co-challenge? You have the the opportunity to win TWO PRIZES every time you enter! Why? Because we are offering a prize here and Lawnscapings is offering a prize there! That's a lot of winners! 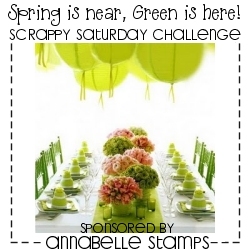 And you can enter at either blog and your entry will appear on BOTH sites! So be sure to join us this week for this super fun co-challenge so you don't miss out on these wonderful prizes!! We're a small company from Southern California that specializes in clear stamps that are fun and lively. We began in March 2010 with the release of four stamp sets and are now proud to showcase our entire collection of thirty-six sets in our little corner of the web. 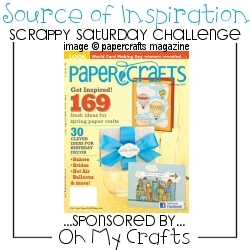 Our stamps have been seen in the pages of Paper Crafts, CARDS, Take Ten, and Creating Keepsakes magazines with many more publications to come. 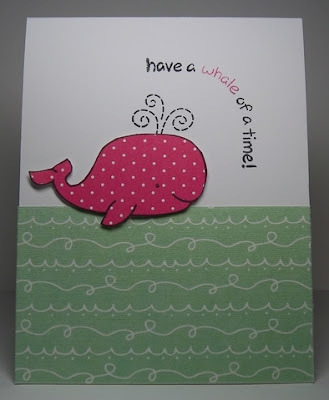 Here at Lawn Fawn you will find clear stamps that are cute, whimsical, and even a bit quirky, but one thing they all have in common is the ability to inspire creativity in everyone. Our stamps can’t wait to jump start your next craft project! 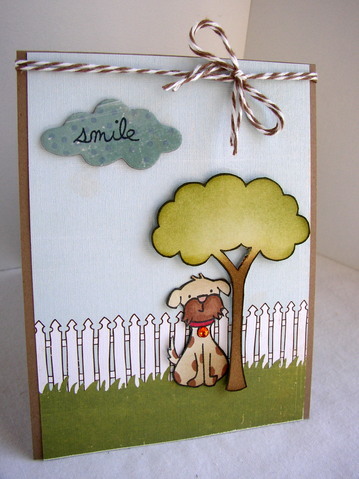 Visit the LAWN FAWN shop HERE... check out all the wonderful stamps and supplies they offer. All the stamps and accessories are fabulous! You will LOVE them all! And the super talented Kathy - from The Daily Marker!! How creative is this? 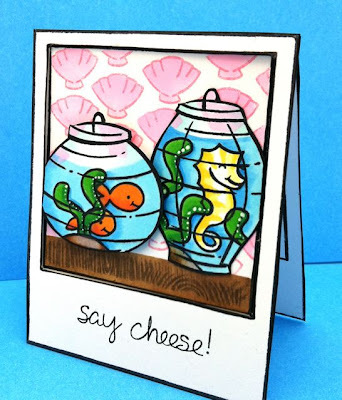 She used the Lunar Lights for fishtanks along with the new Say Cheese and Critters in the Sea!! 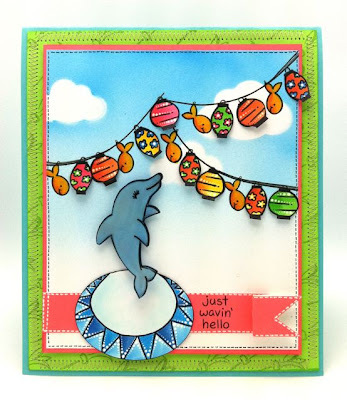 And she did this super cute card with Lunar Lights and Critters in the Sea!! She hand drew the pool for the dolphin! So neat! 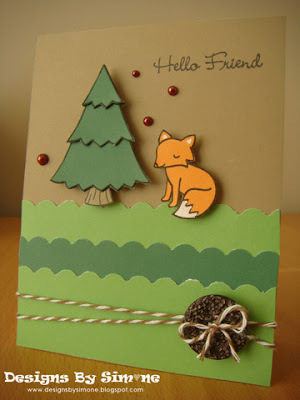 Im using the new set - CRITTERS IN THE FOREST by Lawn Fawn! 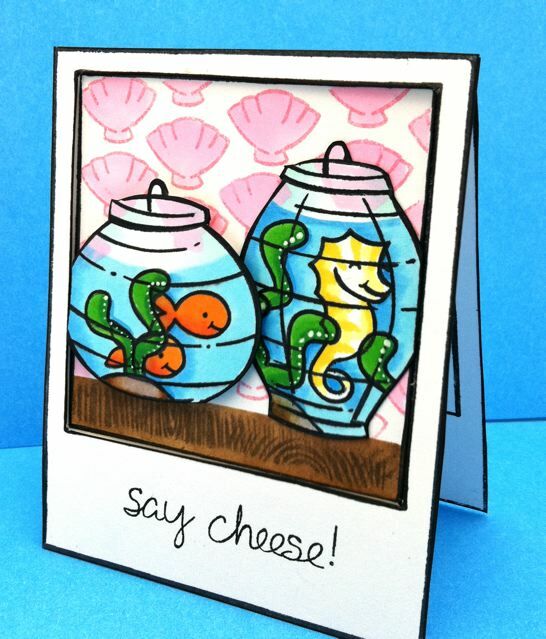 Ann is using Critters in the Sea by Lawn Fawn! So cute! 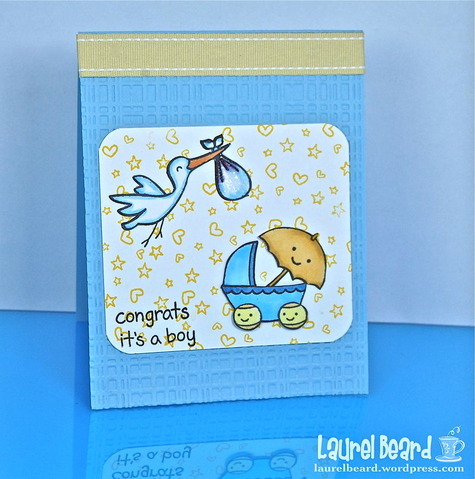 Laurel B. is using the new set - Plus One - from Lawn Fawn! Awww!! 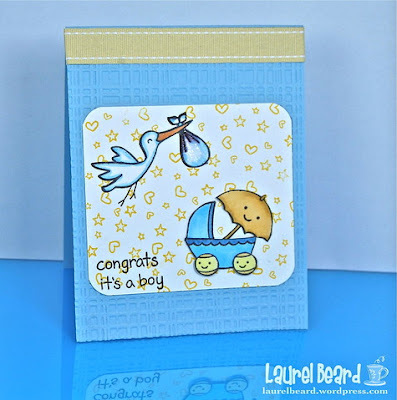 Laurel is using Just My Type from Lawn Fawn - Hello? So cute! 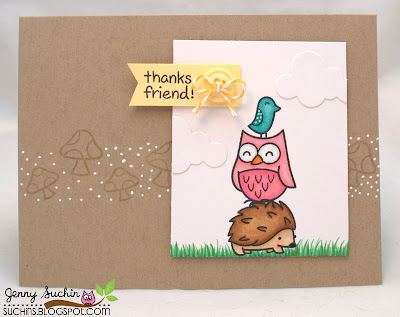 Simone is using the new sets - CRITTERS IN THE FOREST by Lawn Fawn! Love this! Stephanie is using Critters in the Burbs by Lawn Fawn!! Love this "cute" scene! 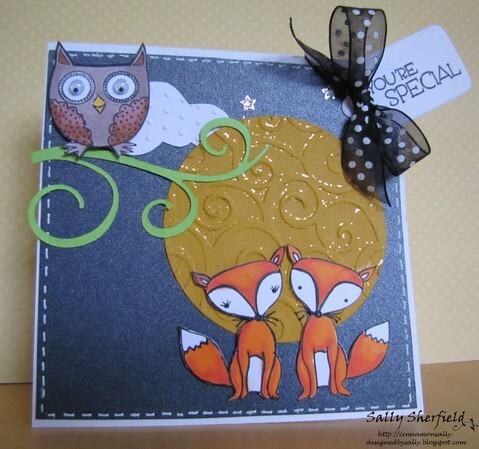 And our super fabulous March Guest Designer, Sally!! 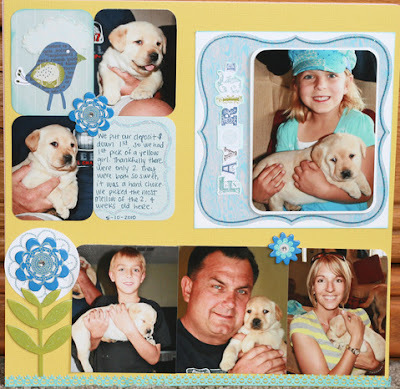 Thanks to the Design Team and our special guests for another fabulous week of super "CUTE" and very "CUDDLY" creations!! 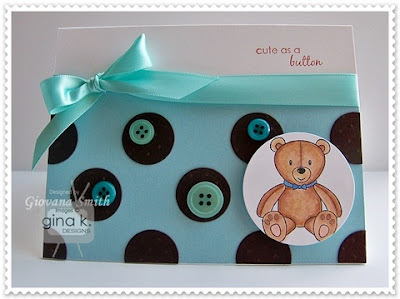 Your challenge: This weeks challenge theme is "Cute and Cuddly" ... any creations based on this theme .. you can use the "cute" or "cuddly" ... doesn't have to be "and". How to play: Just link your project below via Inlinkz, on SCS or any online gallery using WMC48 or to the new Wee Memories challenge gallery on Flickr, HERE. My Design Team and I will select 1 "TOP HOOT", "Hoo-la-la" Top 4 and Honorable "Hoots" after the challenge ends. The winner will be posted Sunday along with the "Hoo-la-la" Top 4 designers. 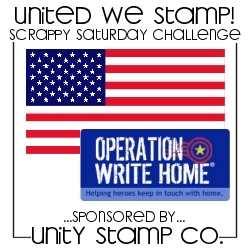 One winner will receive a Stamp Set from Lawn Fawn of your choice!! And Lawnscapings will also draw a winner from all the entries for another Lawn Fawn prize!! Please use keyword WMC48 in your gallery posts. International Players: International shipping has become quite expensive it seems. We will pay a portion of shipping if the winner is international, but the remaining cost is the responsibility of the winner unless shipped by sponsor. Deadline: The deadline for this challenge is next Friday, Mar 25th at 11:59 PST. The winners will be announced on Sundays to give more time for the design team to pick our winners and Fab 4. Thanks for the cute and cuddly eye candy today! I love Kathy's amazingly cute designs and all the DT projects are darling! 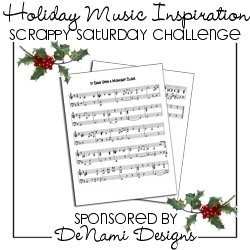 What a great challenge, love your card Jenny! 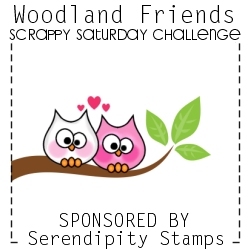 LOVED this challenge - as a dog lover I have tons if cute and cuddly stamps in my collection - none from Lawn Fawn though, so I am hoping I win (LOL!). The DT's creations were adorable.